Description: A simple application used to demonstrate one of new features available in MorphOS 2.0 tinygl.library by Michal 'kiero' Wozniak. in MorphOS 2.0 tinygl.library. 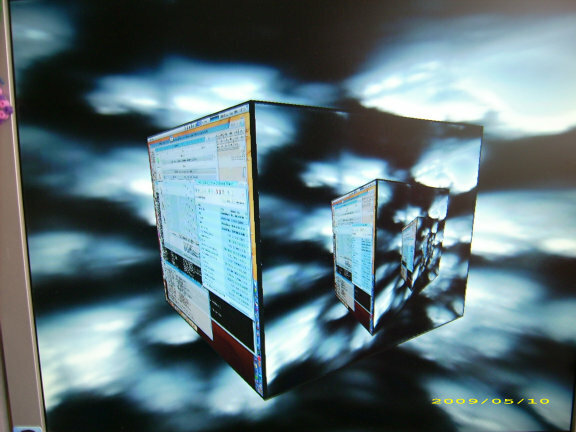 It displays opened screens on sides of 3D cube. (works best ith screens of same resolutions) and useless. Just an eyecandy. will bring the screen on frontmost side to front. Sources will be available as soon as i prepare TinyGL SDK so they can actualy be built.